Ella Yoder has moved into her dream house. In the stillness of the great house, Ella ponders her options. How is she to survive on her own? How will she ever forget Aden? What is to become of her? Two would-be suitors soon make their intentions known, but Ella is unsure of her own feelings. As she agrees to take care of Preacher Stutzman's three motherless girls, Ella's heart is touched by their love for her. Could their affection be the answer to Ella's quest? Can God speak through the love of a child? Readers of "Amish" fiction will fall in love themselves with Ella Yoder and hope with her that she finds the love and happiness she seeks. About this series: Readers of "Amish" fiction will delight in this second book in a series about young Ella Yoder as she copes with the loss of her true love. Ellas Wish by Jerry S Eicher was published by Harvest House in May 2011 and is our 21145th best seller. The ISBN for Ellas Wish is 9780736928052. 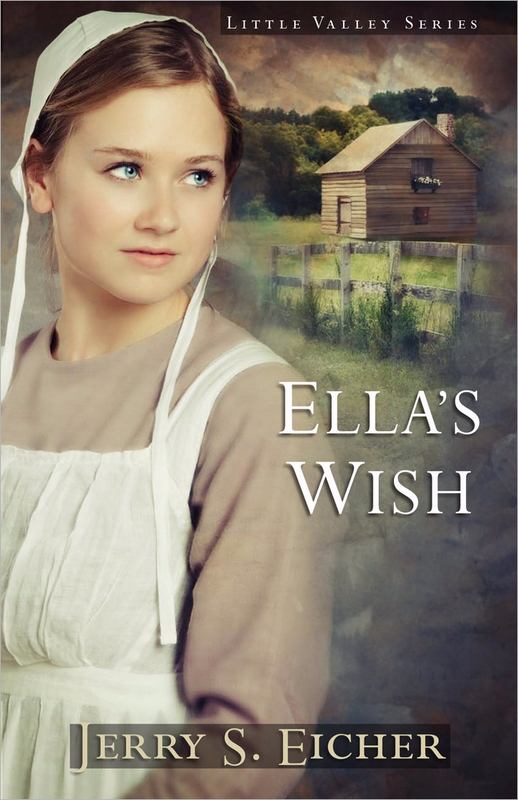 Be the first to review Ellas Wish! Got a question? No problem! Just click here to ask us about Ellas Wish.